President Lincoln soon found himself a dinner guest at the Wills House, located a block from the train station. Lincoln had never met David Wills, the 32-year-old Republican attorney who invited him to stay overnight. 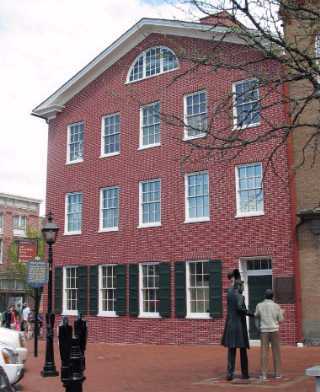 Wills owned the largest house on the town square, and like the rest of Gettysburg, it overflowed with visitors. Under Wills's direction, Pennsylvania purchased 17 acres for a cemetery to honor the Union dead from the summer's battle. He arranged for the cemetery dedication, with Edward Everett as the main speaker. Lincoln would offer "a few appropriate remarks," which he finished writing in a bedroom on the second floor.